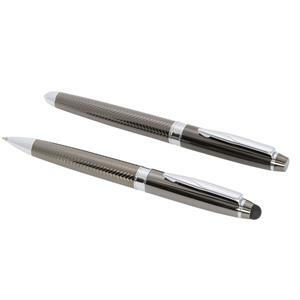 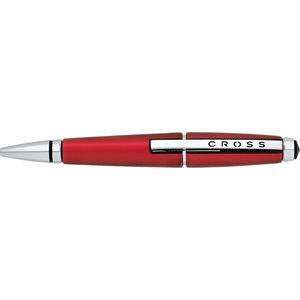 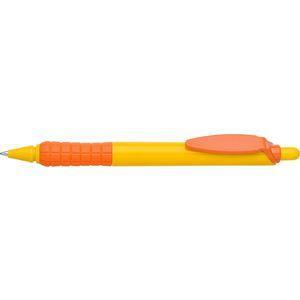 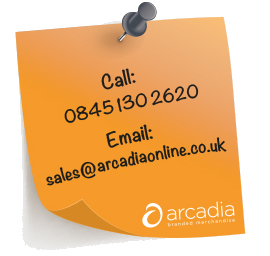 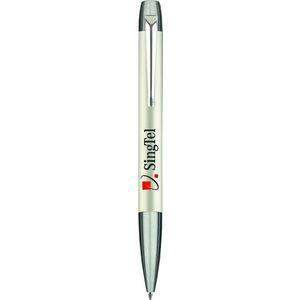 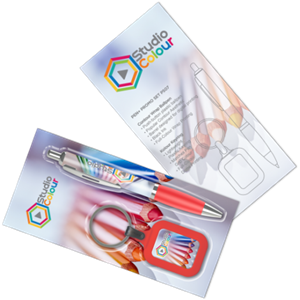 A superb quality twist action ballpen in matt anodised aluminium with bright chrome styling. 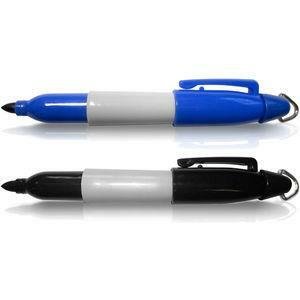 Fitted with a high quality German made Super Smooth Parker style black ink refill. 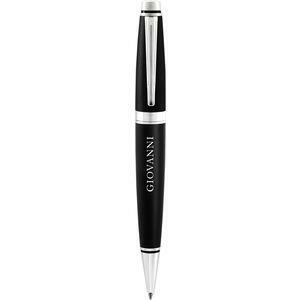 Colour Diamond Black & Sonic Silver.